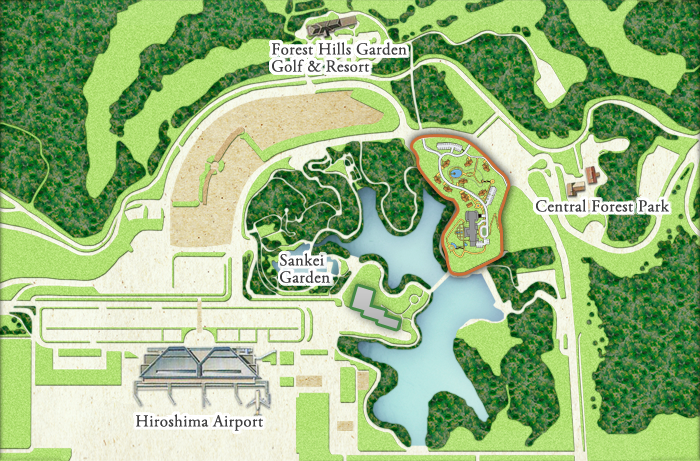 Hiroshima Airport Hotel and Forest Hills Garden are conveniently located next to Hiroshima Airport. Clean spacious rooms await you at Hiroshima Airport Hotel. The Forest Hills Garden includes eight 100㎡ size private cottages in addition to restaurants, banquet halls and multi-purpose spaces, and is even available for playing sports. 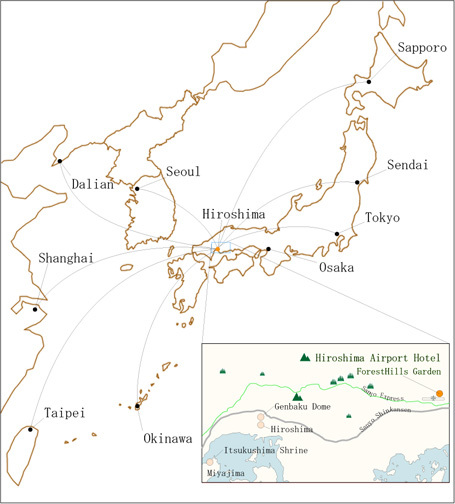 There are two World Heritage Sites in Hiroshima prefecture, where we are located. The first is the Hiroshima Peace Memorial or “Genbaku Dome”, the ruins of a building left at the site of the atomic bombing in 1945. The second is Miyajima where the Itsukushima Shrine is located with its 1400 years of history. Please visit our home of Hiroshima and its World Heritage Sites. Number of Adult Guests 1 2 3 4 5 6 person(s).